Having first started off in the insurance industry Sophie eventually settled in a successful real estate career for the last 15 years. During her career Sophie has excelled by starting off as a portfolio manager to running a successful property management department. Sophie maintains that to be successful in Property Management you must put the landlord’s needs first and provide exceptional service. Building relationships and getting the trust from her clients to deal with their properties is Sophie’s and her teams focus. Sophie prides herself on her ability to recognise each client's needs and tailor our leasing and property management service to suit. In her spare time Sophie loves to cook and entertain and spend time with her husband and 3 children. Awarded - Queenslands Top Office Administrator 2016/2017. Tracey has lived on the Gold Coast since 1991 and has been in the real estate industry since 1983 covering all aspects of real estate from Property Management right through to Office Administration. During this time in the real estate industry, Tracey has fine-tuned her customer service skills where she is highly regarded for her strong work ethic and professionalism. Tracey understands the importance of customer relations and is dedicated to providing friendly high quality service. She strives to achieve the best possible outcome for all parties she deals with. Having two wonderful children Tracey understands the importance of time management and is committed to making your Real Estate needs as simple as possible. 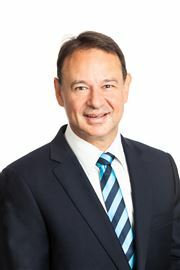 Michael Levonis commenced his career in real estate in 1989 with one of the major franchise agencies. In 2001 he launched his own agency Elliott Michaels Realtor which grew from strength to strength. Michael sold the business to Harcourts Broadwater in 2016 and continues to work with their sales team. Michael has a wealth of knowledge regarding the local market and can be relied upon to give accurate and helpful advice. 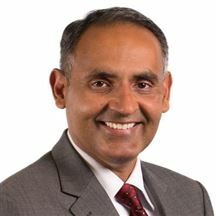 His approachable nature, willingness to listen and work with his clients on the sale of their most valuable asset, and his exceptional negotiating skills means he receives plenty of repeat business. With Michael’s years of experience he has continued to successfully market and sell real estate in the Northern Gold Coast area. After being here on several holidays and feeling like the Gold Coast was home, Ann-Maree decided to relocate her family to Queensland from New Zealand in 2013. Ann-Maree was employed as an Office Manager at a local complex and during this time is when she found residential property management her passion. With 7 years experience in office management and 3 years of residential property management Ann-Maree has the wealth of knowledge and skills of running a smooth, friendly and stressfree porfolio. With her great rapport with owners and careful tenant selection, Ann-Maree has learnt that communication between tenants and owners proves to be the key to a successful tenancy for all parties. With Ann-Maree looking after, just one of your greatest investments, you will know your property porfolios will be in exceptional hands and well cared for at a high level of standard. Ann-Maree is looking forward to growing herself within the property management industry and prides herself on a 100% positive feedback. Lauren began her real estate career in 2006 and has grown through training and on the job experience to possess a vast knowledge of all areas in real estate. She enjoys a challenge and is always looking for ways to improve and streamline the companies services. Lauren understands that property is a major investment and the clients need to feel their property is in safe hands and the it will be looked after meticulously. Property investors can rely on her to undertake stringent tenant selection and an active and enthusiastic approach to all aspects of marketing their property and managing it effectively. Peter joins us with a wealth of knowledge of the real estate industry and offers extensive professional experience with the right advice. Peter has had a committed real estate career previously purchasing and managing his own agency on the mid north coast of NSW in 1980. His business which was very successful was located in the popular pristine holiday retreat area of Pacific Palms being surrounded by beaches, lakes and national parks. During this time Peter achieved and developed extensive experience in sales, marketing, property management and business management. 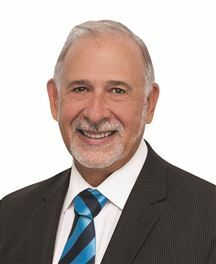 Peter now enjoys and lives on the Gold Coast and is continuing his career with high standards being proactive with a professional commitment to satisfying the needs and requirements of his many clients. Sarah's been impeccably delivering trustworthy property management services for a period spanning two decades. There’s no doubting her attention to detail, her honesty and her professionalism! Her outstanding organisational skills have taken our close-knit team to new heights and it’s a pleasure to be able to avail you of her superior customer service ethic. Never indifferent but always to the point, she’s a breath of fresh air to deal with! 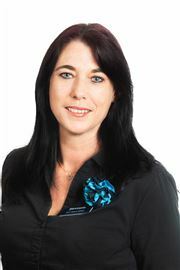 Serena started her property management career in the St George area of Sydney in 2008. Serena quickly become an asset to the company and was promoted from an assistant to the senior property manager to managing her own portfolio only after 6 months! 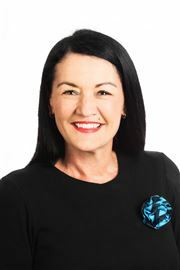 Serena then relocated to the Gold Coast and continued working within the Real Estate industry as a property manager growing in knowledge and experience. Serena loves property management as no day is ever the same and she is a people person she enjoys meeting new people and thrives on the many challenges that property management sometimes can bring. Serena understands that property is a major investment and that clients need to feel their property is in safe hands and that it will be looked after meticulously. Property investors can rely on her to undertake stringent tenant selection and an active and enthusiastic approach to all aspects of marketing their property and managing it effectively. Michelle has been a Property Investor for the last 15 years and has now decided that she has a pashion for assisting people with their Real Estate needs. Together with her exceptional communication skills and attention to detail, which she acquired from her background as a receptionist in the medical industry, Michelle brings a depth of experience to her property management role. 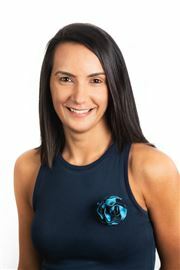 Michelle has a very friendly and approachable nature and prides herself on her personal approach as she strives to ensure that she deals with all property management matters in a timely manner to deliver exceptional service to all her clients. In her own time, Michelle enjoys spending time with her family, keeping active and travelling overseas.